Sorry I haven’t posted much in the last few days. I have been migrating all my blog posts etc to a new hosting provider and have done limited posting, because my blog was very slow on it. Now it is 100x’s faster! Yeah! I’ll do a post later it. I made this soup last week, I love this one. 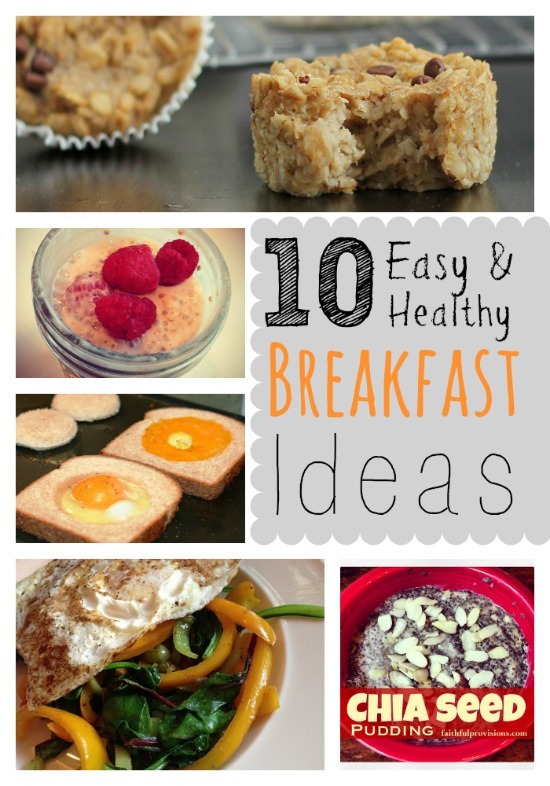 It is easy, healthy and my family LOVES it. I planned on freezing leftovers, but we ate them all! Here is what I did and the recipe. See pictures below. Saute onion, garlic, carrots, and celery in olive oil, until soft. 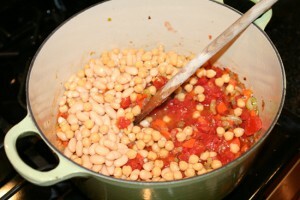 Add spices, tomatoes, beans, and chicken broth and bring to a boil. Add pasta once it is to a rolling boil, cook according to package directiosn, taking 2-3 minutes off. Since it will stay in the liquid it will continue to cook. They get mushy if you overcook them. 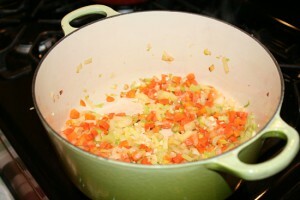 First I diced all vegetables and started cooking in my stockpot. 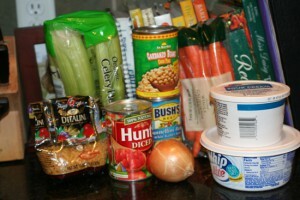 If I am dicing, I usually start w/ the carrots, because they take a little longer to cook. I also usually pull celery from the middle, the heart is the most tender and tasty, and I love the leaves too. 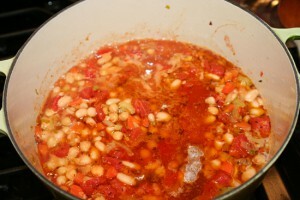 Then I added the beans, spices and tomatoes. Lastly, the broth and pasta. 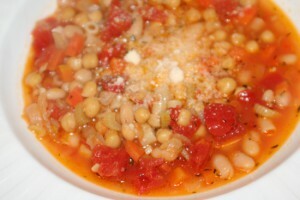 We’re having a variation on this tonight too – I’m adding chicken:) Yum! P.S. Keeley LOVED the soup too – ate a hole bowl of it!